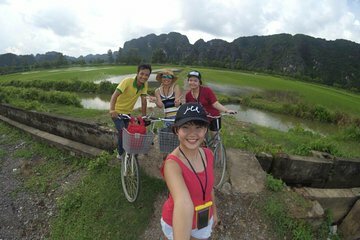 Leave the bustle of Hanoi far behind and enjoy the more relaxed pace of nature on this day trip to Ninh Binh, Hoa Lu, and Tam Coc. These towns are significant for their culture and history, as well as their natural beauty. Get the chance to row a small local boat and ride a bike through the countryside. This is an ideal tour for active travelers who want to fit a lot in to a single day from Hanoi.